Hubby and I found ourselves back in the fabulous country of Belgium. But unlike the last time we visited (December 2011), this time around we were greeted with warm springtime winds and light-jacket-type-weather. I had fallen in love with all aspects of the country, and I told Chris that if possible, I really wanted to experience all four seasons in Belgium. Half of that dream has come true. After this trip, I can check both winter and spring off of my list. I had three days to entertain myself while Chris worked, so I made a trip to the Information Center in Diksmuide (the city we stayed in) and asked what I should see around the area. I got several great suggestions, but I decided to first rent a bike and cycle to the North Sea. 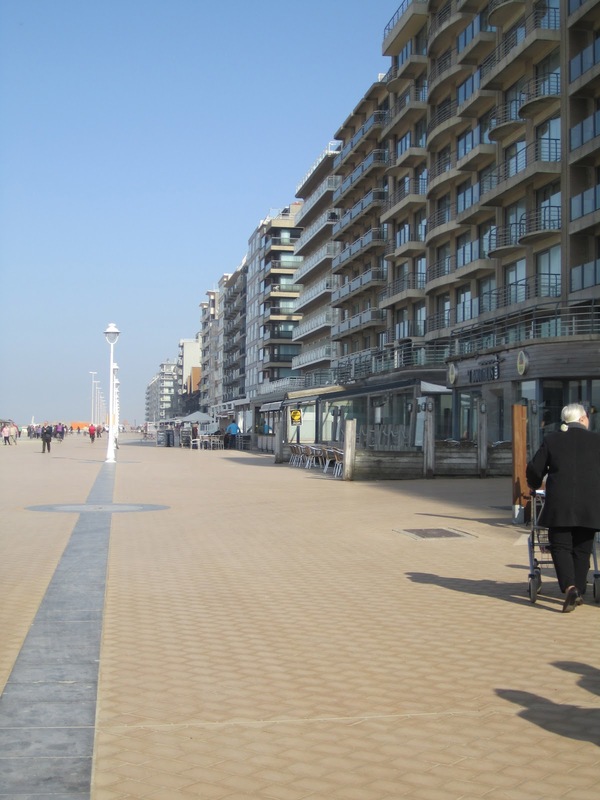 I chose to cycle to Nieuwpoort. 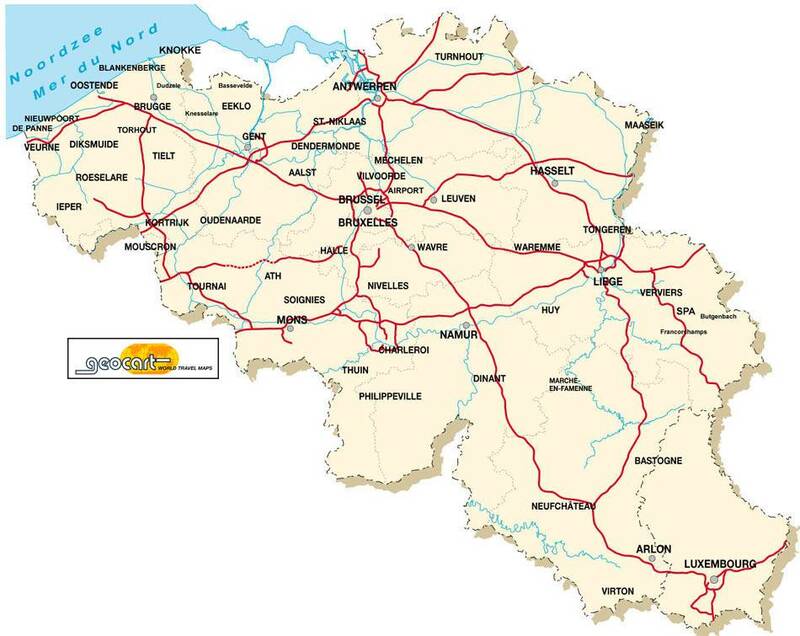 Diksmuide is way up in the north west corner of Belgium, and the coastal city of Nieuwpoort (pronounced "Newport") is only 15km (9 miles) away. It was a wonderful day for a bike ride, so I set out around noon. Although there was a steady breeze, I was absolutely elated to be outside enjoying the sunshine and all that nature had to offer. Wasn't it just one month ago when I was buried under 3 feet of Serbian snow?! I had survived my first Serbian winter and sunshine was the best consolation prize possible. I felt like the luckiest girl in the world! On the way to the coast, I followed a rural country road that lazily wound its way through the countryside. The Information Center told me the ride was about 15km, but I am pretty sure this route tacked on a few extra kilometers! I didn't even notice. I got lost a few times, but somehow managed to find my way to Nieuwpoort. Out on the Nieuwpoort pier. I have never seen so many condos in one small city! There were a lot of people in Nieuwpoort, but I could tell that the coastal town was no where near full occupancy. In fact, there was a lot of construction going on and a local informed me that spring is a downtime in Belgium when all of the updates and remodels happen around town. Come July and August, this area will be crowded with tourists and retirees enjoying their beach condos. The wind picked up about a kilometer from the coast, so it was unfortunately too chilly to stick my feet in the water. I also did not really like the idea of biking home with sand filled tennis shoes. Yeck! Belgium seemed a very active country as soon as the weather allowed for outdoor activity. I noticed loads of professional looking bikers throughout the day; and then there was me in my jeans, new balance shoes, light jacket and without a fancy helmet. Fortunately I was not totally alone because there were quite a few retired couples joining me as the serious bikers whizzed past. Since I am not at all familiar with the sport of cycling, I started researching the history of biking in Belgium. The country has a long and illustrious biking history, and frankly, I felt a bit embarrassed that I had never heard about it prior to this trip. 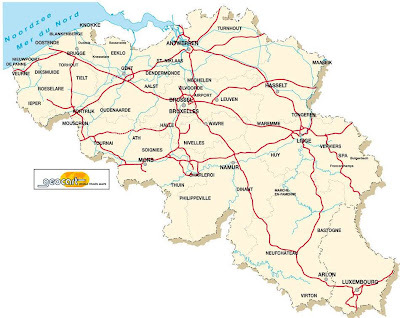 On April 1st, the 96th annual Ronde Van Vlaanderen will be raced in the Flanders region which is the region we were visiting. While I was enjoying a glass of wine at the coast, I met three young bikers from California who were in town for the big race. On the way home, I stuck to the designated bike paths. 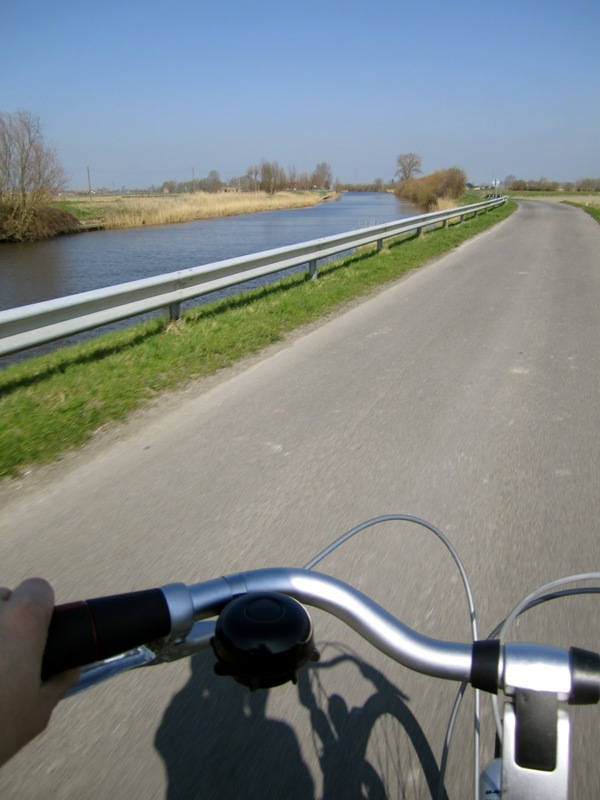 The country has an extensive network of bike trails that are only for cyclists and walkers. Another reason to love Belgium! I had laughed at the "Sheep Crossing" sign . . . but they really do cross! If you were to ask me whether I preferred the spring over the winter in Belgium, I would have to say that I enjoyed both seasons equally. Winter is cold (duh, right? ), but along with cold weather comes the Christmas markets, holiday concerts, mulled wine, and gigantic bratwurst sausages - just to name a few winter delights. As you can tell from this blog post, in the spring, mulled wine is no where to be found, but barren winter colors are fading into bright spring hues, the weather is so comfortable for sightseeing, and you can bike just about anywhere. Of course chocolate, waffles, beer, steak and friendly people can be found year round in Belgium. So that should be reason enough to plan a little visit in absolutely any season that your little heart desires! And You Said You Hated Walmart. . .